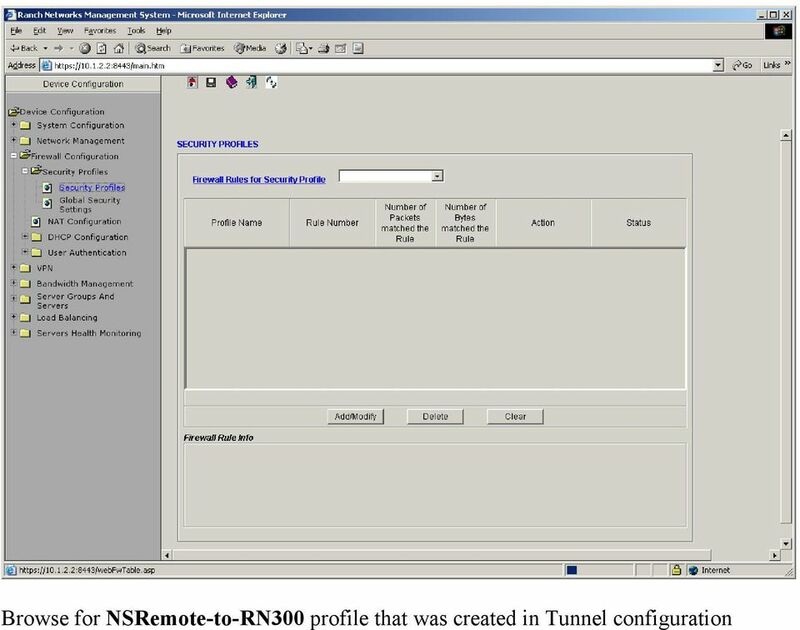 Download "Configuring IPSec VPN Tunnel between NetScreen Remote Client and RN300"
8 By default, all traffic is blocked from remote site to local site trough tunnel. 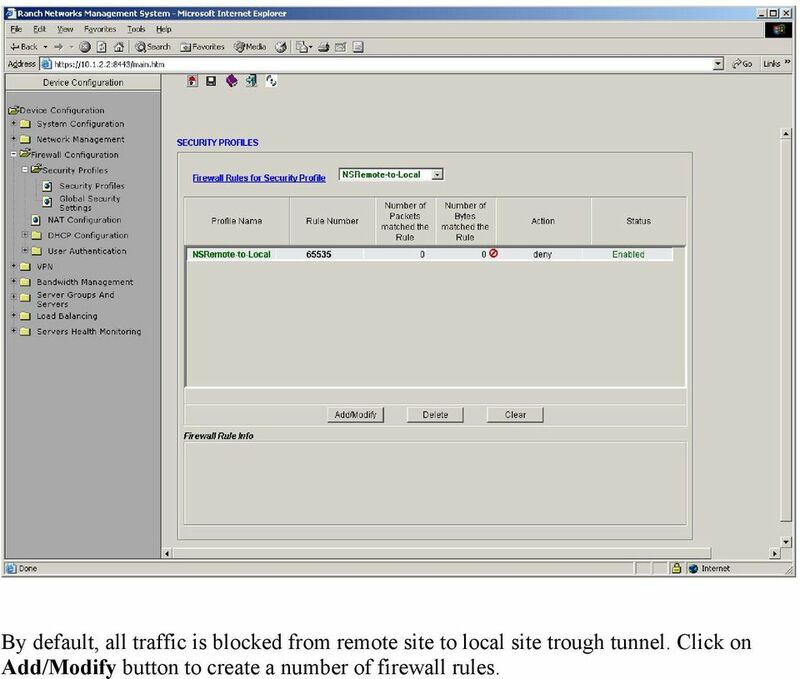 Click on Add/Modify button to create a number of firewall rules. 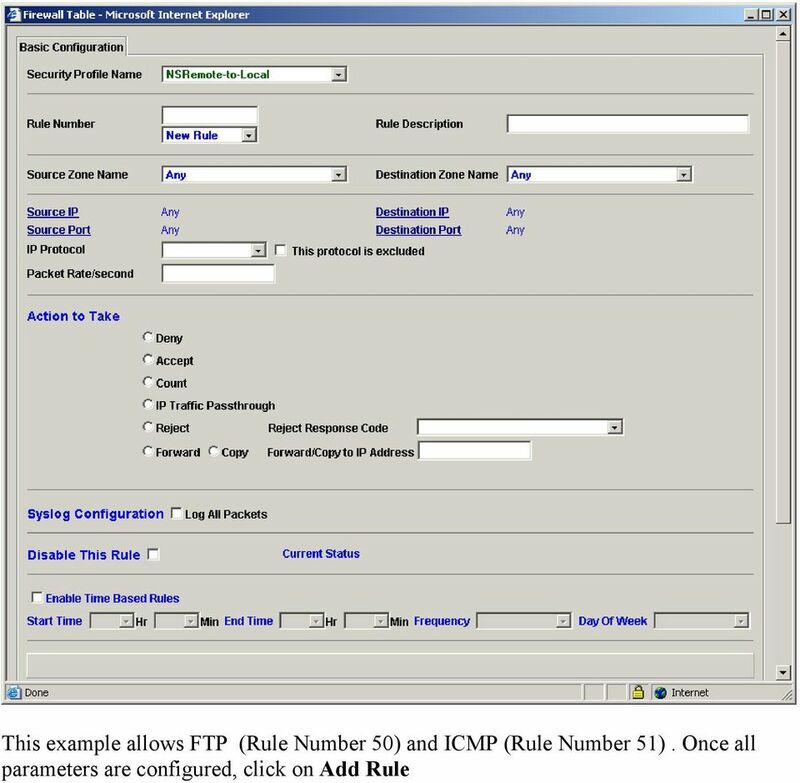 19 The packet capture available is as followed. 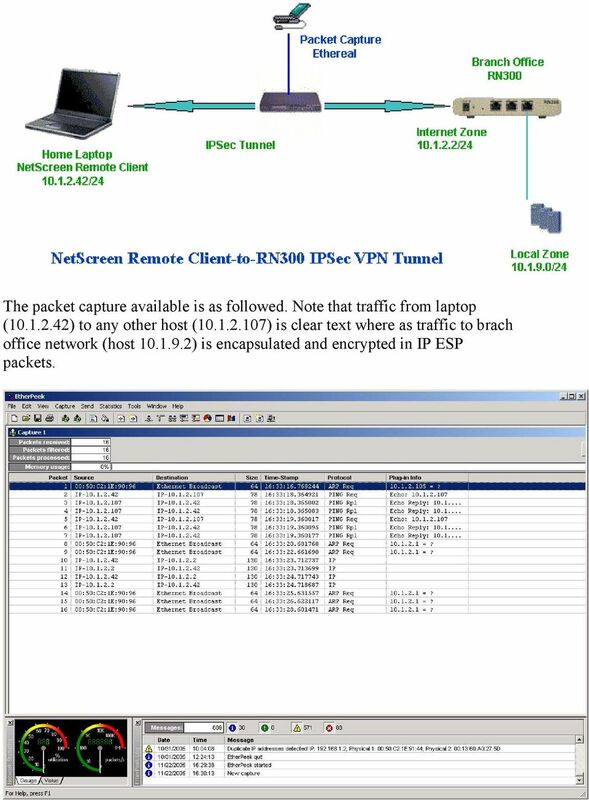 Note that traffic from laptop ( ) to any other host ( ) is clear text where as traffic to brach office network (host ) is encapsulated and encrypted in IP ESP packets. 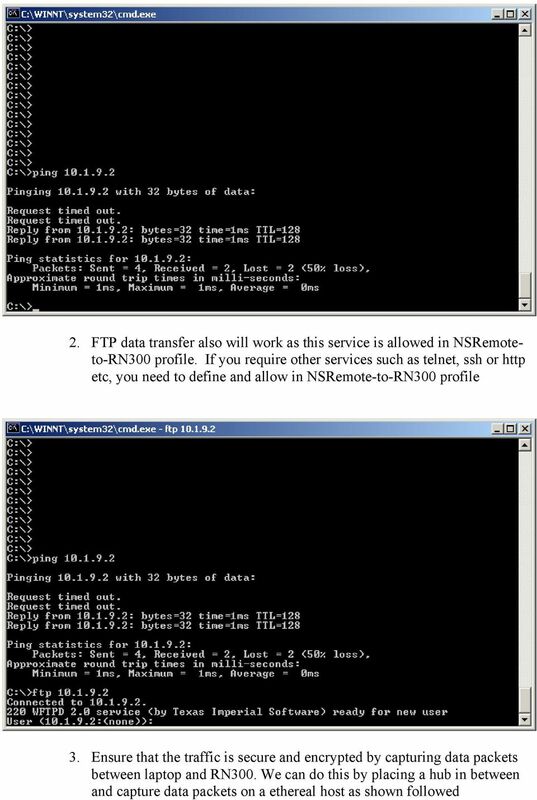 Chapter 6 Basic Virtual Private Networking This chapter describes how to use the virtual private networking (VPN) features of the FVG318 wireless VPN firewall. 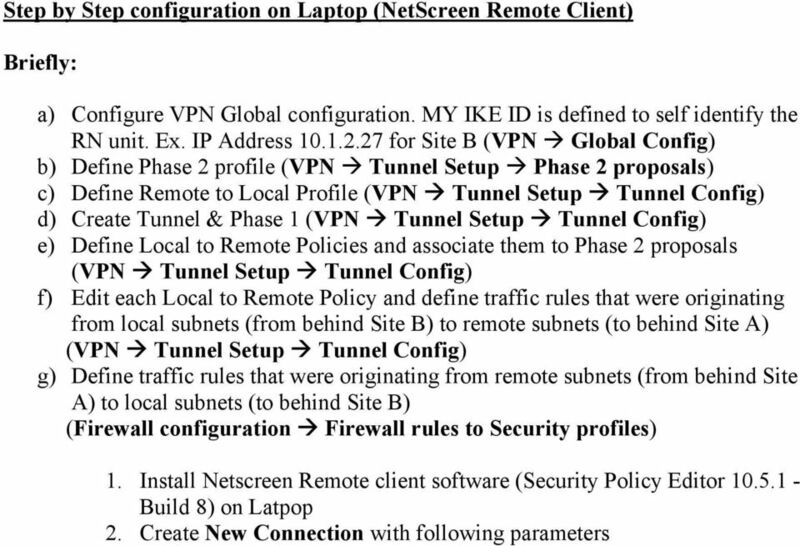 VPN communications paths are called tunnels. 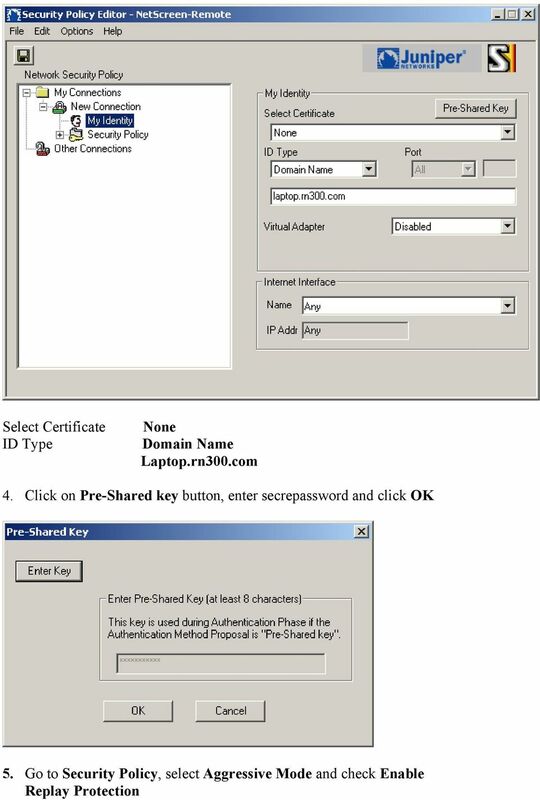 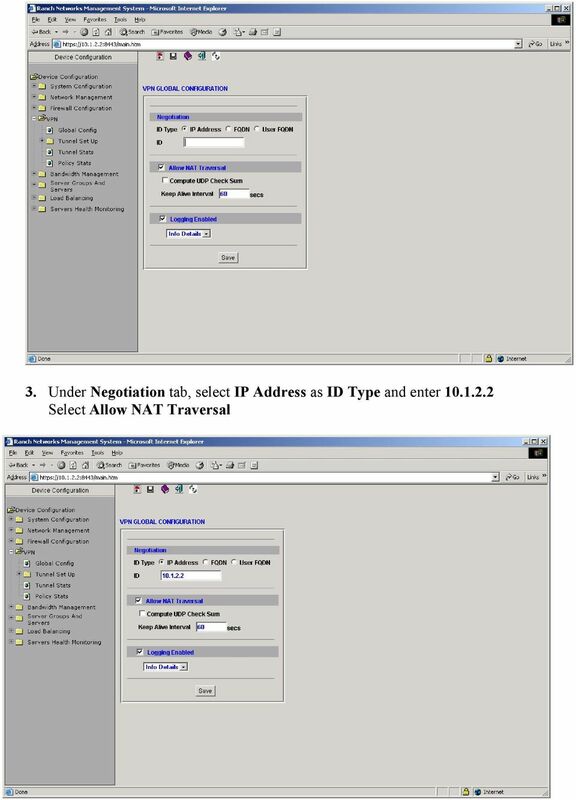 ZyWALL 5 Internet Security Appliance Quick Start Guide Version 3.62 (XD.0) May 2004 Introducing the ZyWALL The ZyWALL 5 is the ideal secure gateway for all data passing between the Internet and the LAN. 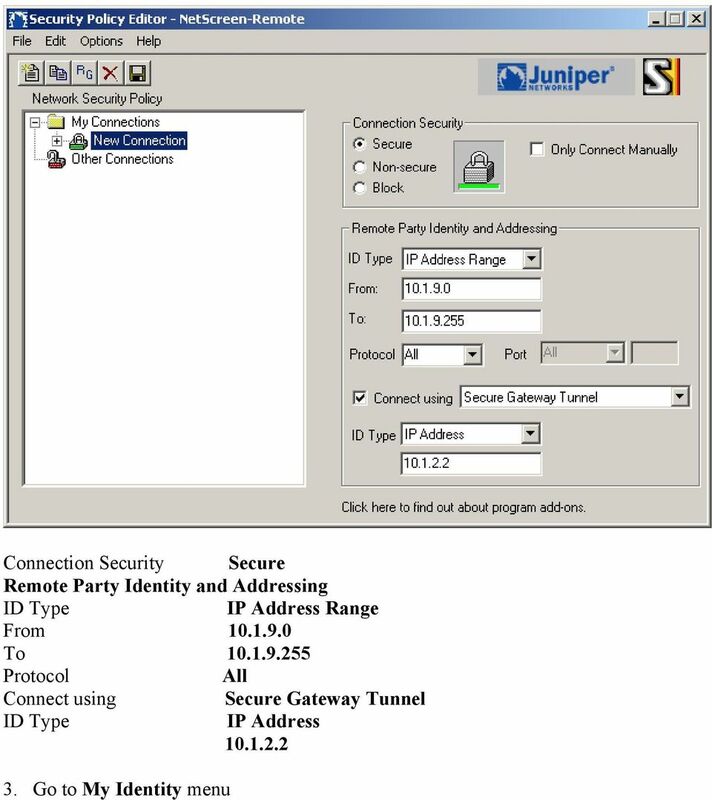 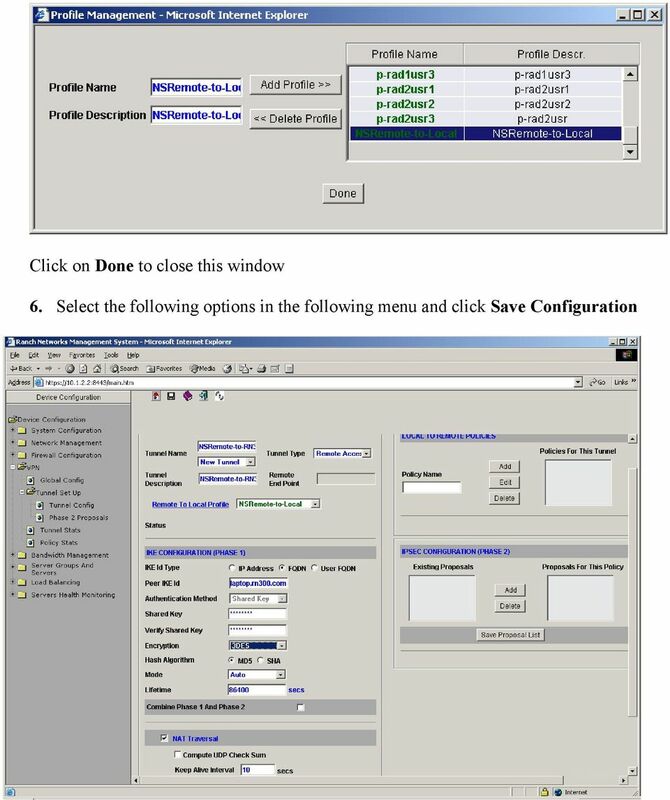 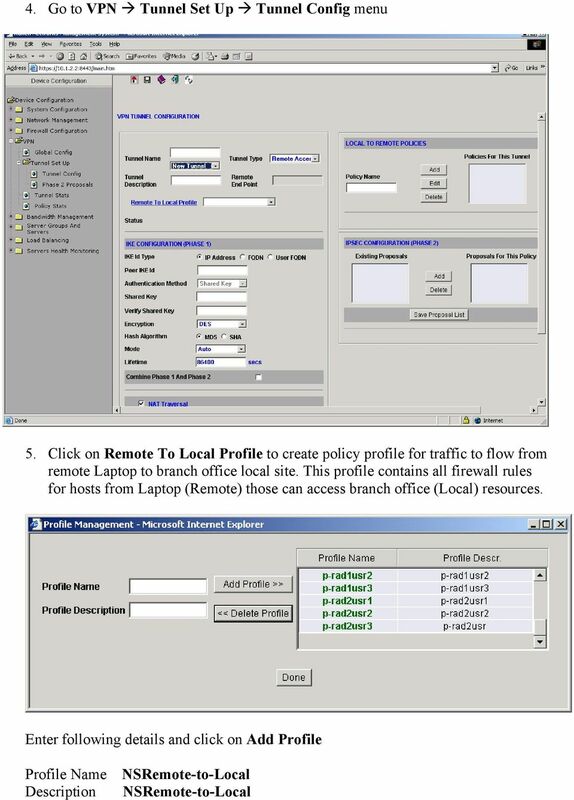 Configuring the Juniper SSG as an IPSec VPN Head-end to Support the Avaya VPNremote Phone and Avaya Phone Manager Pro with Avaya IP Office Issue 1.